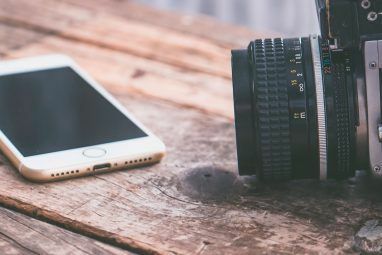 Taking lots of photos these days is easy with smartphone cameras, easy to use point-and-shoots, and affordable pro consumer DSLRs. But often the challenge is how to get those photos sent to family and friends without using several different applications. PhotoRocket attempts to solve that problem by providing an online photo gallery, desktop and iPhone client support (Android is coming soon), so you can quickly upload and send a batch of photos to selected people and websites like Twitter and Facebook. PhotoRocket is a gallery and photo sharing site in which you can upload photos to your account from your Mac or Windows PC, your iPhone, and Facebook albums. The desktop client allows you to quickly drop photos into the application where they are in turn posted to your online account. For even quicker uploading you can right-click on a photo in your computer and choose “Share via PhotoRocket” from the drop-down contextual menu. You can also designate a group of email addresses for people you regularly send photos to, as well as add your Facebook and Twitter accounts for directing sharing. PhotoRocket for the iPhone is a seriously well designed and even fun application for sharing photos. The app’s home interface includes a dial for quickly adding and sending photos from your Photos library or Camera Roll. You can also shoot photos directly from within the application. As with the desktop client, PhotoRocket allows you to send pictures to groups of people, as well as share on your social network sites. A nice little added touch is the feature for saving notes and messages that you might regularly use when sending pictures to other people. What’s neat about PhotoRocket is that you can quickly send a batch of photos in just a few clicks. Your PhotoRocket also includes photo gallery sharing. Photos added to your account are automatically put into a gallery that includes ten different layout styles and themes – including Collage, Flow, Grid, Midnight, Earth, and Pastel – to fit the type of photos you’re displaying. Photos can be moved around (or deleted) in a gallery, but there doesn’t seem to be a way to move a photo from one gallery to another. 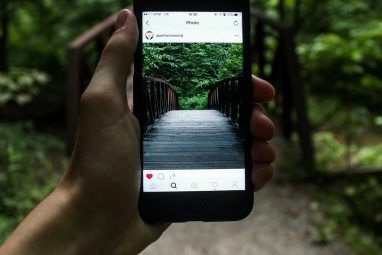 From within a gallery, you can also share photos to your social networking sites, as well to other online sites including LinkedIn, Evernote, Tumblr, and WordPress. You can also invite others to upload photos to your galleries. This is very useful for parties, weddings, and other event photos. All the photos you upload to PhotoRocket are stored in full resolution and kept on the site as long as you’re an active user. If you lose your photos on your phone or computer, they can be downloaded/recovered from PhotoRocket. 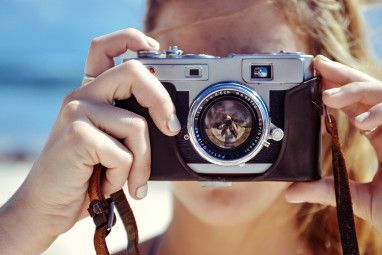 The site says you can share and receive up to 20 megabytes of photos at a time, but there’s no limit to how many photos you can upload to your account. You can batch upload up to 100 photos at a time from your computers. 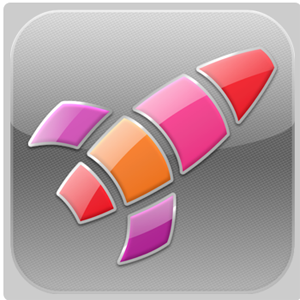 PhotoRocket is a free service – including the smartphone and computer apps. Of course, PhotoRocket hopes that you will take advantage of ordering photos from their printing service, or subscribing to their premium and pro-level features in the future. Let us know what you think of PhotoRocket. Is there a similar service and application that you already use that others should know about? For ideas about other free photo sharing sites, check out 5 Online Photo Sharing Sites Which Are Free Alternatives To Flickr 5 Online Photo Sharing Sites Which Are Free Alternatives To Flickr 5 Online Photo Sharing Sites Which Are Free Alternatives To Flickr Read More , and PhotoScatter: Upload Photos From iPhone to Multiple Sites.